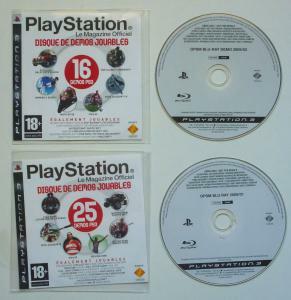 Listing [en cours] des Blu-ray de démo PS3 livrés avec le magazine officiel Playstation FR. 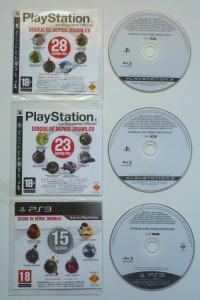 - Blu-Ray Demo 2008/10 EUR. - Blu-Ray Demo 2008/11 EUR. - Blu-Ray Demo 2009/01 EUR. - Blu-Ray Demo 2009/03 EUR. 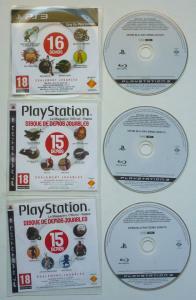 - Blu-Ray Demo 2009/10 EUR. - Blu-Ray Demo 2009/13 EUR. - Blu-Ray Demo 2010/01 EUR. - Blu-Ray Demo 2010/03 EUR.